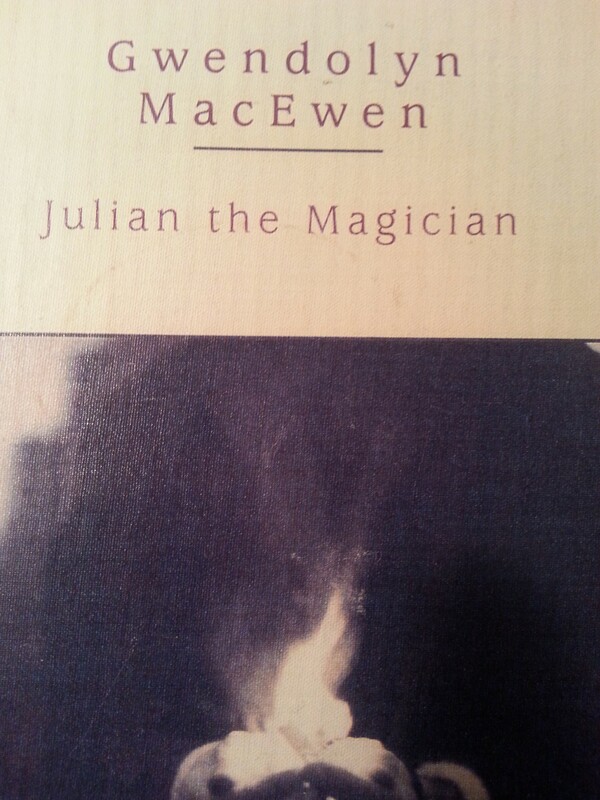 Julian the Magician is the work of a poet of the mythic, the magical, and the exotic: Gwendolyn MacEwen. Although she is better known for her poetry–and mostly, I suspect, by academics rather than the general public–I recommend reading her today. 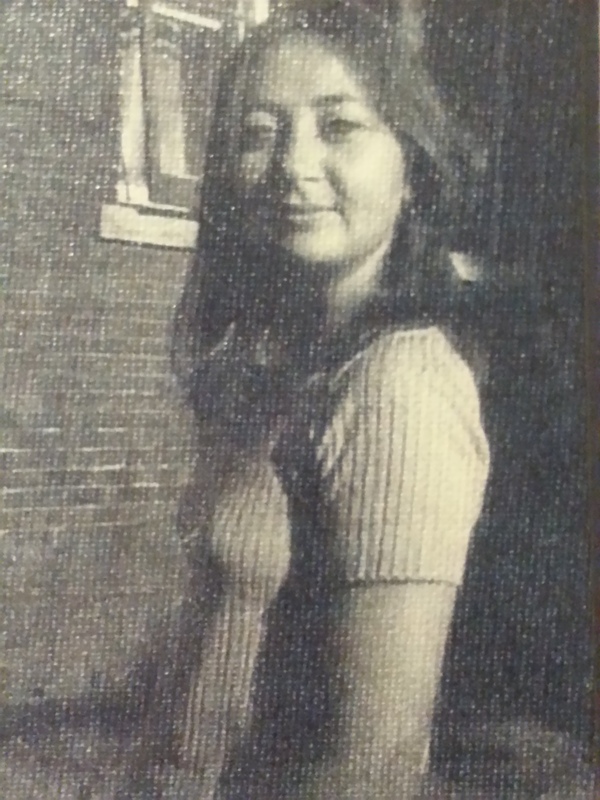 Her style is a “sort of powerful poetic mad half-abandoned prose somewhere between [Kenneth] Patchen and Virginia Woolf,” and is filled with mystical significance and humour. Julian the Magician is an early example of Canadian literary fantasy. Set in a vaguely Renaissance setting–not exactly medieval, since Julian has studied Paracelsus–Julian the Magician concerns the travels of a miracle maker who believes he is Christ. He has studied alchemy, myth, and Kabbalah, but has dropped those disciplines in favour of sorcery. The work of a magician is similar to that of the illusionist, but more specifically, Julian’s art is “the means of inducing the state of suspended logic” (16). His job is to “[unscrew] hinges on all doors” that block belief and thus let his audience come to believe in his magic (20). The problem is that the people become fanatic about his supposedly godlike powers. Wandering the countryside in a cart, Julian journeys with Peter, his young assistant, Johann, a bitter man, and Aubrey. Julian’s journey mirrors that of Christ, MacEwen putting her own spin on the baptism, the wedding feast at Cana, and lastly, the trial and Crucifixion. The difference is that though Christ was God incarnate, Julian is simply a magician, and does not want to be thought of as anything more than human. In one scene, for example, the audience sees him turn water into wine, but Peter is convinced that the liquid in the jugs is still water. When Peter reads over Julian’s journals, which the magician keeps private, Julian’s mind is revealed to be … incomprehensible. His thought processes are intensely metaphoric, similar to his abandoned speech, which his followers struggle to understand. Gradually, it becomes apparent to the wise reader that Julian’s magic is an analogy for the poet’s ability to manipulate words and string them into mysterious meaning. The poet’s role is to suspend reality–but the poet should never be deemed godlike. If so, she/he endures the same fate at society’s hands as Julian and Christ suffer. When Julian becomes framed for murder, a crime that could unravel the belief he has sown into a community, the only solution is to endure crucifixion at the hands of his accusers. Will the faith of the community be shattered forever? What legacy survives the magician’s death? You will have to read the book to discover your own answer.